Until the 24th February 2018 we will be within St. Barnabas Church, Sea Road, in the nave – next to the café. Available from 2pm – 4pm Tuesdays, Thursdays and Fridays; and 10am – 12pm Saturdays. 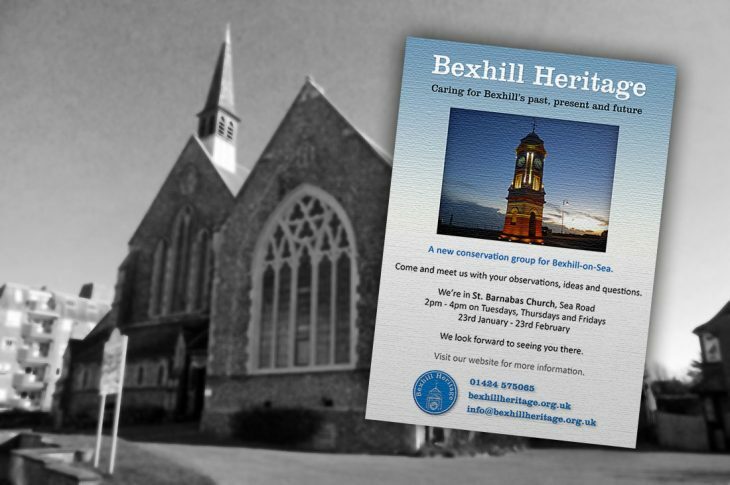 Our information point will be used to inform members of the public about heritage issues in Bexhill and the planned work of the charity. You may also apply for membership if you haven’t already done so. We look forward to meeting you and discussing any of your observations, ideas and questions.